Unified Basketball is a branch of The Special Olympics, were there is a mix of special needs students and general education students playing basketball together. In the basketball games, there is 3 special needs students and 2 general education students on the floor playing together. The main goal of the unified program, is for the general education students to form and create bonds with the special needs students, and not just on the court, but in school and on an everyday basis. The long term goal is to empower this group of Unified Basketball players to help change the culture in our school, so that the special needs students could and would be accepted and included just like any other student. 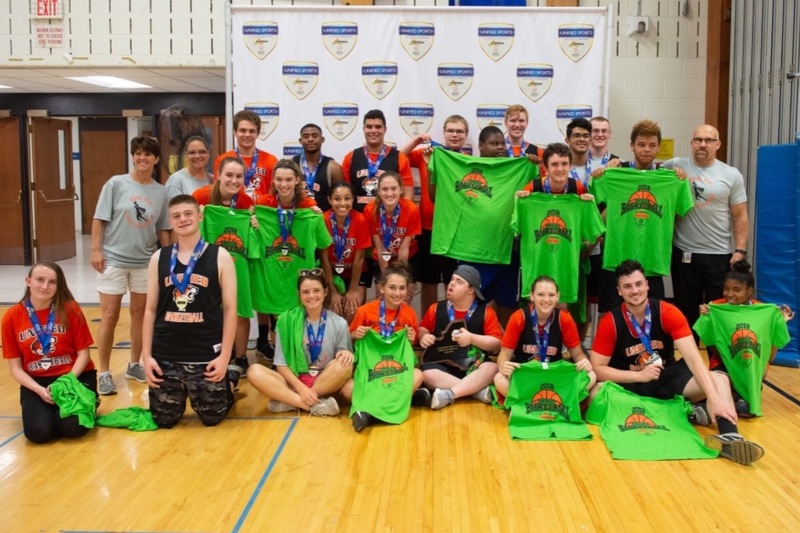 Being a leader and a visionary district, Union-Endicott became one of the first districts in this area to offer Unified Basketball in 2018. There were so many great moments during the inaugural season, and not all were just on the basketball court. Special needs kids talking with the general education students in the hallways between classes, general education players having lunch with the special needs students and introducing them to their other friends, and hanging out with each other after school. Just these little actions have started to bring an amazing change to the school community. To help to continue to support this team's efforts, we are looking to raise money to buy T-shirts and also buy bracelets to help with our campaign of "Spread the Word to End the Word".